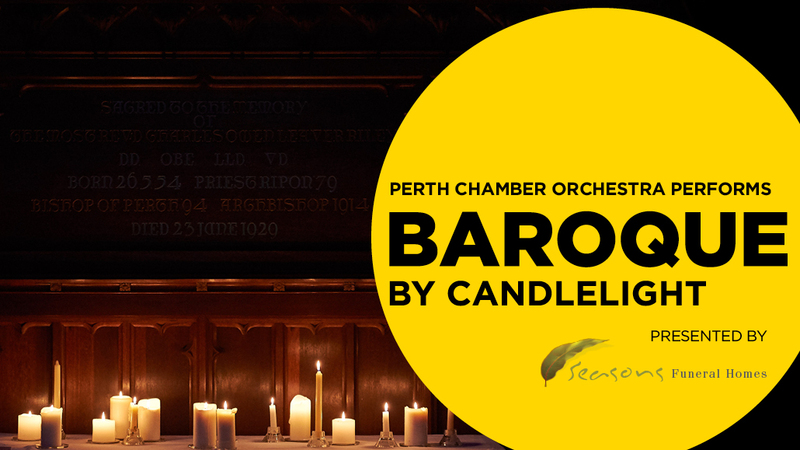 Children will recount their experiences of living in Baroque times as Perth Chamber Orchestra (PCO) presents their most acclaimed concert to date: “Baroque by Candlelight” as part of the Armadale Arts Festival at St. Matthew’s Church on Sat, 12th May. Following a sell-out perform in August 2017 at St. George’s Cathedral, this concert transports patrons back in time, offering an unforgettable evening. Enhancing your musical experience with a glass of wine and sweet in hand this is just the entrée for a feast of baroque music set to warm the heart in the candle-lit Church. Intended to offer a unique musical, spiritual and historical experience, the concert will be under the artistic direction of Jessica Gethin, the leadership of virtuoso violinist, Paul Wright, with soprano Prudence Saunders, and solos from Jenny Coleman (trumpet) and nine-year-old Joshua Crestwell on the banjo. ‘Baroque by Candlelight’ will be performed twice in full – both the matinée and evening concert will perform the same program. All evening concert tickets include a complimentary glass of wine and a dessert served during interval. Matinée tickets include tea, coffee and biscuits, served in the interval. “The audience will be in for a special treat as local children will take to the stage to re-enact and recount what it was like to be living in those times,” said Bourby Webster, Founder, Director and visionary behind these conceptual concerts. “I want the audience to experience the music from a different perspective,” she said. “For example, Vivaldi mainly wrote for a female orphanage run by nuns. It is believed that the orphans’ mothers included women from the Venetian opera chorus, and their fathers wealthy concert-goers! Many of those baby girls turned out to be very gifted musicians when they grew up!” she said. “I guarantee the whole evening will be illuminating in more ways than one” she concluded. This concert is presented by Seasons Funeral Homes, with support from the City of Armadale. Special mention to concert Patron John Christmass OAM.